Online stream anime episodes, Watch Naruto Shippuuden Episode 143 English Subbed online and free episodes. Anime Episode guide, Chapter Naruto Shippuuden Episode 143 English Subbed The Eight-Tails vs. Sasuke Sasuke fights Killer Bee and is injured by his swords. 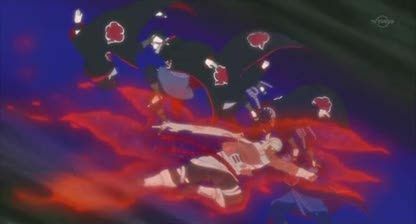 Karin heals him, and Sasuke, Suigetsu, and Jugo then begin a combined assault on Bee until he decides to use the Eight-Tails’ power. Sasuke is injured and revived again by Jugo, who regresses in age as a result. All healed, Sasuke unleashes Amaterasu on Bee in desperation, finally able to subdue him. Meanwhile, two Cloud ninja watch the fight from a cliff, and they notice the Uchiha crest on Sasuke’s back. They rush the news to Bee’s big brother, the Raikage.